Uchimura has already jumped to the second-ranking of Japan's Olympic men's gymnastics. The youngest member of the team is a second-year student at Nippon Sport Science University, Uchimura (5 ft. 3 in. 119 lbs.) began gymnastics at age 3, at home in Nagasaki Prefecture at his parents' sports club. If he wasn't on the trampoline at home, he was doing long jumps into the sand pit at school. Uchimura trained with Athens gold medalist Naoya Tsukahara. 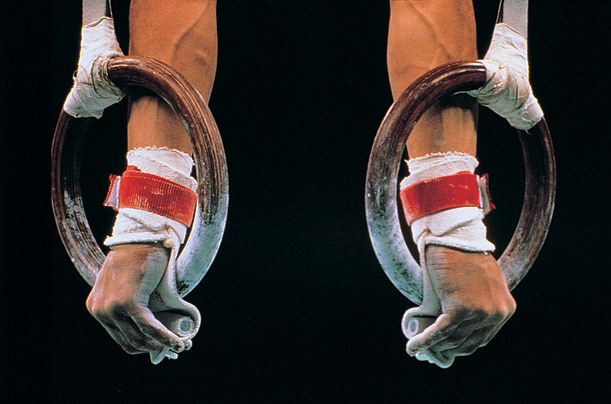 When asked what attracts him to gymnastics, Uchimura has said he simply "likes twisting and turning." His renowned coach, Koji Gushiken, says Uchimura excels at floor and vault due to his quick turning speed and sense of positioning, which helped him to win a gold medal in floor as a freshman at the World Student Games.